Martha Rea Baker has just returned from her annual “Artists With-Out Limits” painting retreat to the Texas Hill Country. 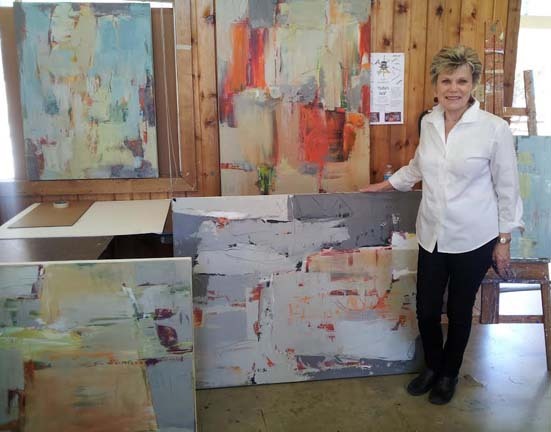 During this productive studio time at the Hill Country Arts Foundation in Ingram, TX, Martha created eight new paintings. 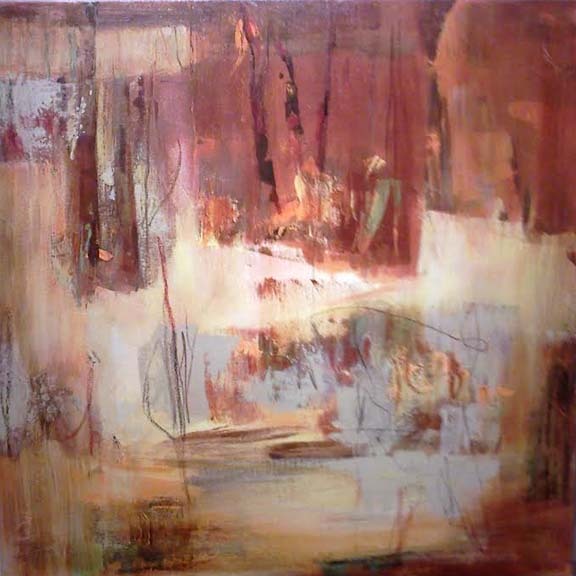 To begin the 2014 exhibition schedule, the Hill Country Arts Foundation installed a show of paintings created during this year’s retreat or in previous years and opened the exhibit, “AWOL-Artists With-Out Limits-2014” with a reception on Saturday, January, 11. 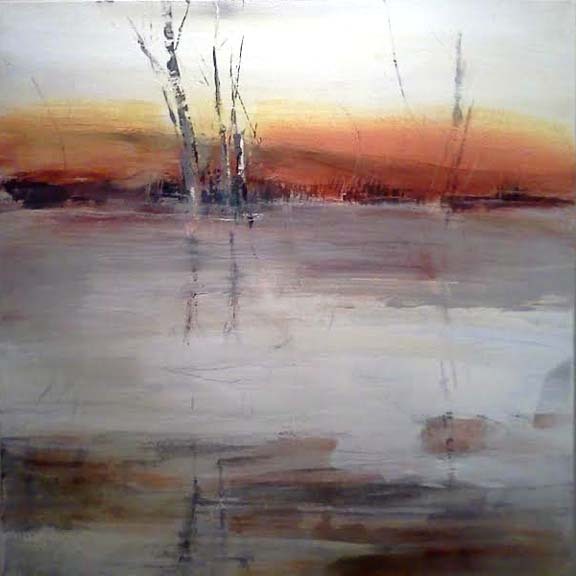 Martha created three 24″ square paintings for the show in the first four days of this year’s retreat on the theme of “Seasons”. The canvases depicting one winter and two autumn scenes are posted below. 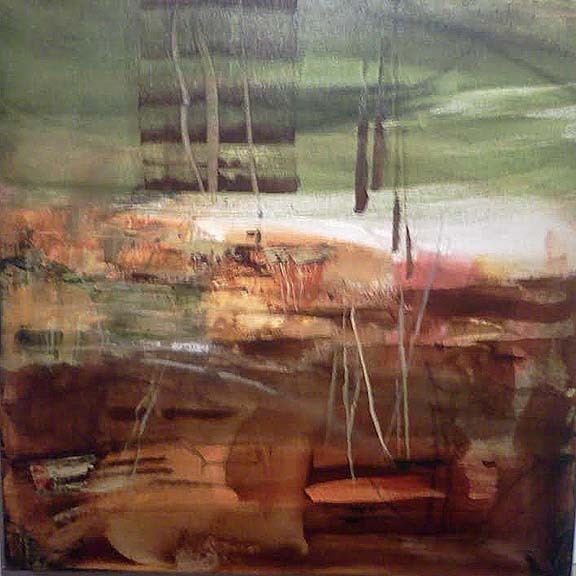 Below you will see one of the larger canvases which Martha finished at HCAF. 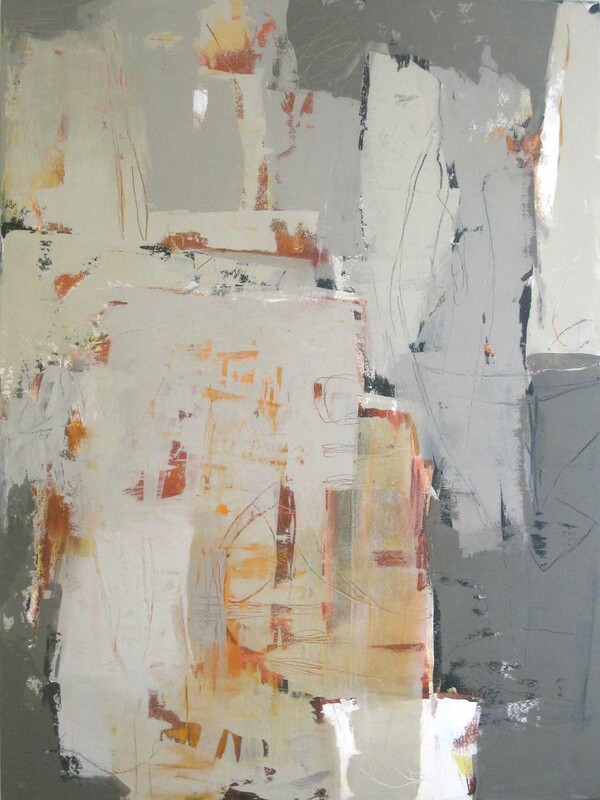 Karan Ruhlen has chosen this piece for the upcoming exhibit, In the Abstract, opening at Karan Ruhlen Gallery on May 23, 2014.